Do you work as an early years professional? Are you looking to discover more about early years funding? 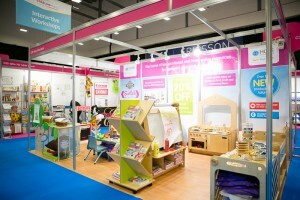 Then you need to visit Childcare Expo. Brought to you by Broadway Events, Childcare Expo is one of the biggest events in the industry. With plentiful resources to hand, you will learn everything you need to know about funding early years development. When it comes to any child’s development, having the necessary tools and knowledge is a vital way of ensuring the best possible future for them. It is at this crucial stage that a child begins to learn about the world around them, and assimilate knowledge at a rate far quicker than any adult. 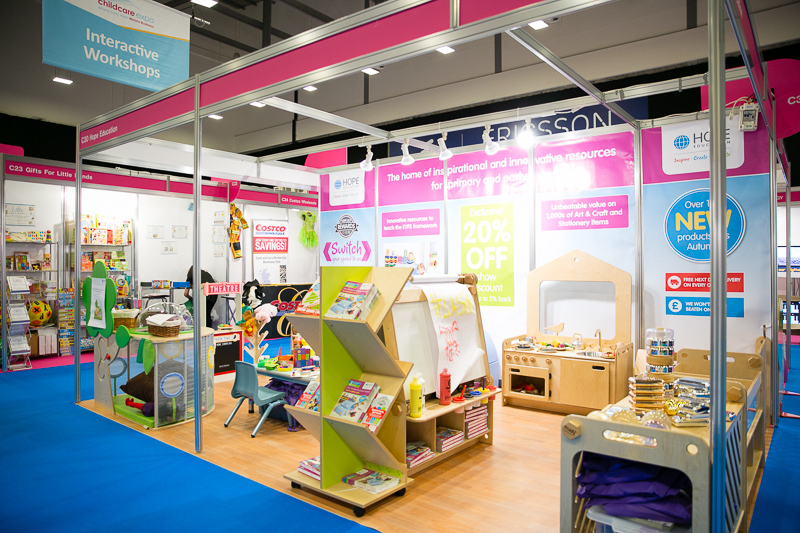 At Broadway Events, we understand the complexities of funding this essential development which is why when you visit Childcare Expo, you will discover funding for early years made easy. Childcare Expo is a place where like-minded individuals can come together to share ideas on the most important issues in the industry – including early years funding. This triannual event is perfect for those seeking inspiration. Whether you work as a nanny, nursery chain executive, manager, or some other childcare profession you will find exactly what you are looking for right here. Early years funding can be a daunting prospect. From paying for building costs to supplying the latest learning materials and equipment, the costs will soon stack up. At Childcare Expo, you will discover that there are far simpler and more effective ways to balance finances with the needs of the children in your care. For our seminars, we have brought together the best minds and companies from right across the industry. Every seminar has been carefully put together to provide invaluable insight into the finer points of early years funding. From product demonstrations to in-depth Q&A sessions, you will have a chance to converse with the experts. Our seminar program spans the entirety of both days and covers a wide range of critical areas. If you are interested in funding early years projects, then be sure to look at the full schedule to find the right seminars for you. These timetables will become available nearer to the event date so make certain that you check back often. Regarding the price, you can expect to pay £21 on the day or £15 when you book your place on our seminars in advance. Early years funding has never been more affordable. Would you like to meet with the experts one-to-one? Do you wish to find out more about the latest and most cutting-edge products for early years funding? Then visit one of the many stands that are dotted around the venue. There you will find like-minded individuals who are just itching to share their knowledge and ideas. Plus, there are also amazing discounts and offers to be found on many fantastic products. You might discover something that will transform the way you view funding for early years. At Childcare Expo, we don’t assume that everyone’s needs are the same. As well as providing helpful seminars we also run workshops for those looking to get a little more hands-on. Finding activities that are either low cost or free is of fundamental importance when it comes to early years funding. It is for this reason that our workshops exist. These are free to attend and are geared towards teaching you the most cost-effective ways to create fun and engaging activities that won’t cost you a fortune. We even welcome children, so you can test for yourself how well they engage with each activity. What makes the Childcare Expo the best place to learn about early years funding? When it comes to securing funding for early years developments, it pays to research the issue thoroughly. With so many aspects to consider, it’s easy to become confused by the range of options that are available to you. At Broadway Events, we have many years of experience in putting together dynamic events that cater to newcomers and established veterans alike. As a company, we have featured in the ‘Exhibition News Awards’ on several occasions and are frequently recognised for the contributions that we make. Our professional team are committed to going that extra mile to include as much information about funding early years projects as possible. When you attend the Childcare Expo, you will be sure to come way feeling inspired and motivated. Are you looking to educate others on the most effective methods for funding early years programs? Then click here to register your interest today. If you’d like to learn more about early years funding, click here to view our registration page and select the event that you wish to attend.